If your answer is yes, you are well on the way to get your first book published and become a self-published author. How? Recently, I met one long-time-no-see Facebook friend (and Church friend). “Congratulations! You have finally written and published your own book. I remembered it was your dream to publish your book,” she greeted me. Oh yes, I have almost forgotten my dream. She was right that my dream had come true. By the way, have you seen my book? Check it out at Amazon.com, Cru Singapore and soon be available at Novena Church Bookshop, alternatively I have made it available at Carousell Singapore and at Psalm 23 for Kids Facebook fan page. Publishing my own book was my dream since I was 19. What I did then was just sharing about my dream? I had some actions like taking up writing courses, submitting articles to publishers, print out lots of writer’s guidelines and trying to write something to get published. But nothing compares to one simple action I took in 2015: self-published my book with Partridge Singapore. This act had made my wildest dream come true. It is also one of those most rewardable experience I’ve ever had. Take a look at Penguin Singapore’s packages for self-published authors, the next self-published author could be you! So far, I have discovered at least 10 rewardable reasons to be a self-published author. I have listed them out and they are in no particular order or importance. 1. It is a critical step to establish my current writer’s status. It is a one of the driving force for me to take the plunge into becoming a full-time writer. Ever since I published my book, almost everyone assumed that I was writing books for a living. My identity as a writer has stayed in people’s mind and I think it is a good time to launched into freelance full-time writing. Though this happened only two years after I published my book, it is still a defining moment and a defining project for me. 2. It has set the tone for my personal brands. I am first a child of God, then a writer and an entrepreneur. Branding is an important element in today’s business world. This applies for any kind of businesses be it a solo entrepreneur, small local business or big companies. Of course, when I started my business, I can’t ignore that. My company name is louiseleewrites.com and my business’s website address is http://psalm23forkids.com, there I recommend business solutions for Small and Medium Enterprise (SMEs). My children’s blog is http://louiseleewrites.com. 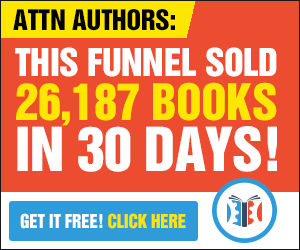 It is not difficult to see how they are all connected with my first published book, so it has set a mile stone for my writing career and business. It helps define my niches as well: Christian/children/Travel (http://www.louiseleetravels.dreamtrips.com). Travel niche opens up when I started travel writing. As you see, how all these work together to build my brand(s). 3. It is the solid proof of a dream comes true. A dream will soon be forgotten after we wake up, but a printed book does not disappear by itself even after sometime. The printed copy of my book is the proof that my dream had come true. The element of dream land is also a key setting of my story where David had an encounter with the shepherd. If you are not sure what I am talking about, grab a copy of my book from Amazon.com. 4. It takes me out from procrastination. The reason for procrastination are many. Just to name a few: I am too busy; I am too young; my writing skill is not good; I have no confidence; I am afraid nobody reads my book… I can go on and on with this list. Imagine, one reason keeps you for at one day, and the day becomes a month, and the month becomes a year, and the year becomes decades, how many years will you take to get your book published? 5. It propels me into marketing myself. If you are an introvert like me, the option of marketing ourself may sound unattainable and perhaps horrendous to some. However, once I got my book published and printed, I was almost propelled to do my self-marketing, and step by step I learned to promote the sales of my book. I have trained myself to praise my work – Psalm 23 for Kids is a good book and how good it is. I have learned to list down at least 25 benefits this book can bring. This is pretty awesome, right? I am rather amazed myself what I have been through the last two years: I have set up a blog, built websites, and I am onto more marketing methods to go about marketing myself. It is pretty awesome that I have Facebook, Twitter, Instagram, LinkedIn and Pinterest accounts! 6. It brings revenue. Marketing your book the right way can bring in revenue. Instead of depending on a traditional publisher to publish and sell my book and get royalty, self-published author can fetch a lot higher profit. Royalty pays you 10% (or less) based on the nett sales to the distributors and retailers, depends on the list price of your book, you can definitely earn more by selling your own book and earn 50% to 80% or more profit yourself. Though it is not a very simple thing to do marketing right, this is definitely a benefit. 7. It suggests a second career path. Working from 9 to 5 was my only option of work in the past. So, after one full-time job, I would move on to another one. I was limited to the field I had experience on. Once the industry is on a downturn, I was caught with worries and fears. After my book was being published and as I started going about learning, there were so many opportunities open up for me as a writer and an author. Possiblilities are endless, just don’t get stuck in one, keep on the lookout for a second career especially those who has reached their forties. 8. It boosts my self-confidence. Other than completing my Bachelor Degree in English and Sociology (Hons), publishing Psalm 23 for Kids is another thing I did that has boosted my confidence. With the support of my friends, I must say my confidence level has raised a least five bars up! 9. It brings satisfaction. Self-published authors take control of the entire publishing process. I am the author, the publisher, the marketer, the brand manager, the sales manager, accounts manage and everything of my book. In short, I am in charge of every single details of the publishing process. It is an enriching experience and it gives me great satisfaction. I am going to share with you the process in my future blog posts. 10. It proves that “I can” be a writing coach and a publishing coach. As I pondered over the past two years, I concluded that “I can” become a writing coach and a publishing coach simply because I made enough mistakes and I want to help others to get the best benefits out of self-publishing. it is definitely in the pipeline of my business direction. Then, I browsed through my mental catalogue of my writings. My answer was: “Yes”. “Psalm 23 for Kids” was the brain child that started this process of self-publishing with Partridge Singapore. *P.S. the link provided is an affiliate link. Partridge Singapore is the publisher I worked with to get my book published and distributed online worldwide. I have printed some copies for my personal distribution as well. I am happy with the quality of my first published book with Partridge Singapore.